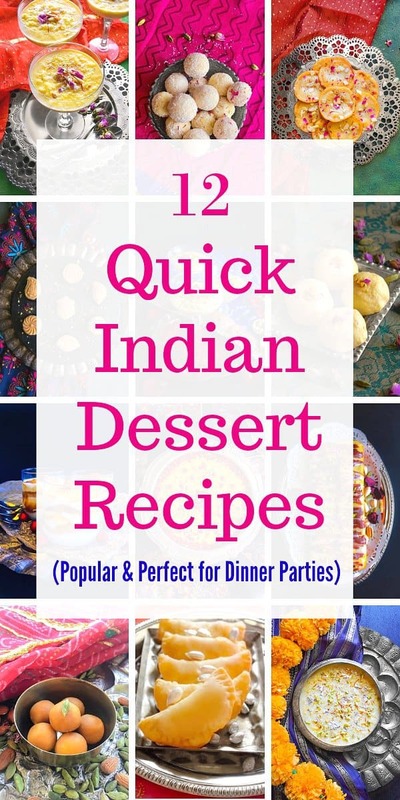 12 Quick Indian Dessert Recipes: list of 12 popular, quick and fingerlicking good Indian dessert recipes or Indian sweets that are perfect for dinner parties or any occasion. 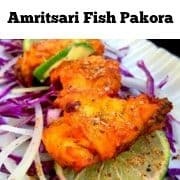 Like Ladoo, Gulab Jamun Parfait, Kheer, etc. 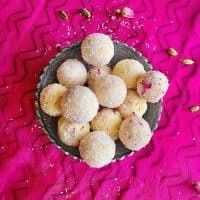 No Indian Party/ Festive Occasion or even a small gathering is complete without “Meetha / Mithai” popularly known as Indian Desserts served in the end. 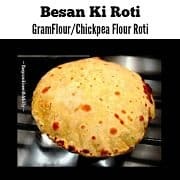 So here I’m with a roundup of Our and Your Favorite Indian Desserts / Indian Sweets recipes that can be made under 30 Minutes. 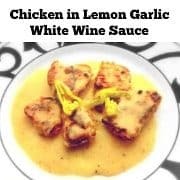 All these recipes have been made by me, my friends and family over and over again and this is where I’m listing it for easy access whenever your heart desire. 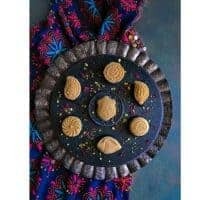 Also, many of these Traditional Indian Sweets recipes ingredients + steps are changed a little to fit our everyday lifestyle or need. Hence, you’ll find some recipes to be ‘Instant Dessert” and some which will take 20-25 minutes. 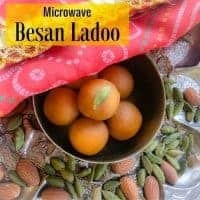 Microwave Besan Ladoo (4 Ingredients): Hands down the MOST Famous Indian Dessert made every occasion especially festivals. 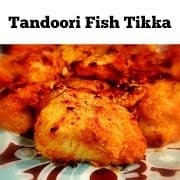 100% Glutenfree, yields 18 ladoos and can be made vegan. 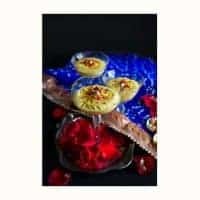 These Microwave Besan Ladoo are moist, fudgy and tastes absolutely divine. 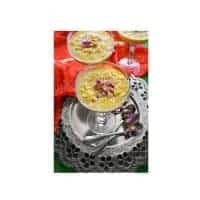 Instant Thandai Mousse (Indian Yogurt Mousse): Filled with the sweet flavors of saffron, pistachio, almonds, rosewater, this mousse is a perfect showstopper recipe to serve on Festive Occasions. 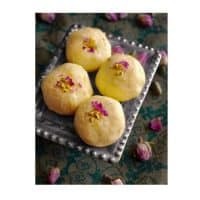 Bengali Kacha Golla: light and flavorful Indian sweet made using ricotta cheese, cardamom, saffron and rosewater. Bengali Kacha Golla – Perfect for Diwali It’s extremely aromatic and refreshing because of its light ingredients. 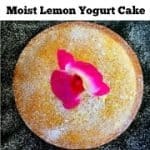 It can be served for festivals, brunches or even high tea. 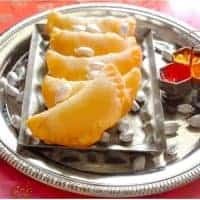 Best Gujiya Recipe: Step by step recipe to make Gujiya (Indian sweet empanadas) filled with mawa, coconut, dry fruits, and cardamom powder. Also, learn How to make Mawa using Ricotta Cheese. 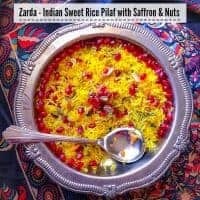 Instant-Pot Kheer Recipe: creamy, thick, flavored with saffron, rice along with dried food, this rice pudding is a perfect Indian dessert. 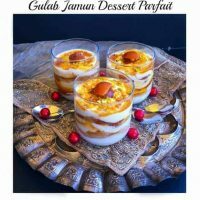 Perfect for Holi Sweets / Holi Desserts. 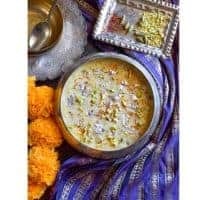 This recipe is all about making a thick, creamy and rich kheer without using condensed milk. 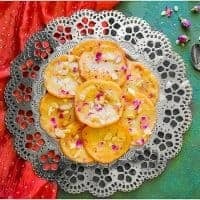 Shahi Saffron Pistachio Seviyan: thick, creamy and filled with delicious flavors of saffron, pistachio, almond and rosewater for that perfect Festive dessert. All these recipes are Affordable and Perfect for Last Minute dessert. Some are made using condensed milk, milk powder or even ricotta cheese. SAVE / SHARE / BOOKMARK this Post for Easy Access Anytime & Anywhere. 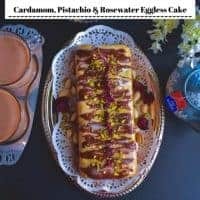 No Replies to "12 Quick Indian Dessert Recipes | Easy Indian Sweets for Dinner Parties"